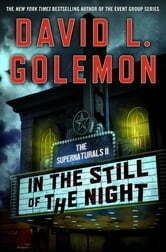 Set in the world of The Supernaturals, one of Riffle’s Ten Best Haunted House Books of All Time, In the Still of the Night, a supernatural thriller from New York Times bestselling author of The Event Group series David L. Golemon, will make your Halloween extra spooky this year. Five years ago, the ghost hunting Supernaturals disbanded after being accused of faking their experiences at Summer Place. Now, the eccentric, but brilliant, team of scientists and paranormal experts are being asked to join forces once again—this time to save the President. Through strenuous investigation and mysterious messages about returning home, the team soon discovers the long lost home of the president: a small town in California called Moreno, a modern ghost town. 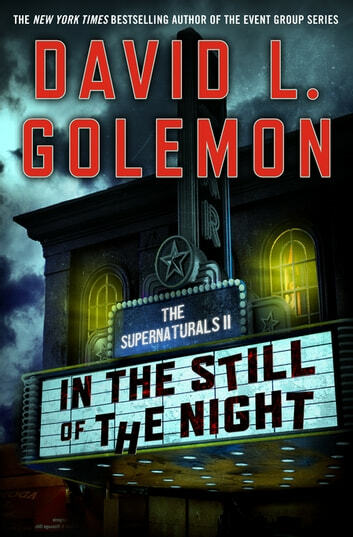 When the Supernaturals go to Moreno for answers, they find a presence; something came to Moreno after WWII, something that’s still locked in a steel vault in the basement of the town’s old movie theater. To make matters worse, the thing in the basement is starting to pull them into its time, Halloween of 1963. With the body count rising, it’ll be up to the Supernaturals to find an explanation for what this paranormal being is and how to defeat it.